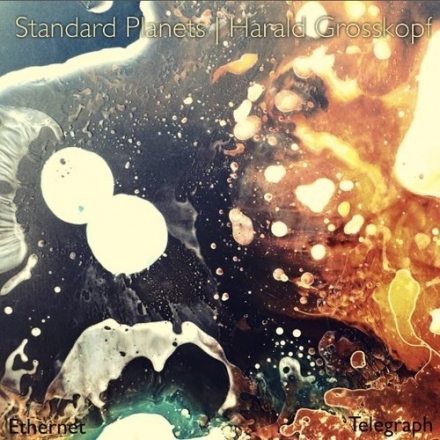 On “Ethernet/Telegraph,” the new London-based trio Standard Planets team up with the highly influential synth pioneer Harald Grosskopf. The results are two pieces of shimmering synth pop. “Ethernet” is the dancier song, with its pulsating base line and near-cosmic synth arpeggios. The more subdued “Telegraph,” meanwhile, is something of a slow-burner, its vocals being almost methodically delivered as the song adds layer upon layer of krautrock synths. Living up to Standard Planets’ name, both “Ethernet” and “Telegraph” create out-of-this-world soundscapes. Yet, even if Standard Planets may reach for the celestial, there’s something thrillingly grounded about their music, and they never lose sight of a good pop song. Stream "Ethernet/Telegraph" below. The debut single will be released on March 24th.